A pleated skirt is a wardrobe staple, no matter your usual style. Dress up with a floor-length pleated satin maxi, or get ready for Sunday brunch in an adorable jacquard midi. No matter the option, design details can make or break your look. The Romulea Skirt lends itself well to a simple twill or even an abstract brocade, but it truly stands out when trim gets involved. For this version, I opted for a 3D floral applique along the front waistband and pockets. The final product will have you rocking a look that’s ready for Fashion Week whenever you damn well pleats! 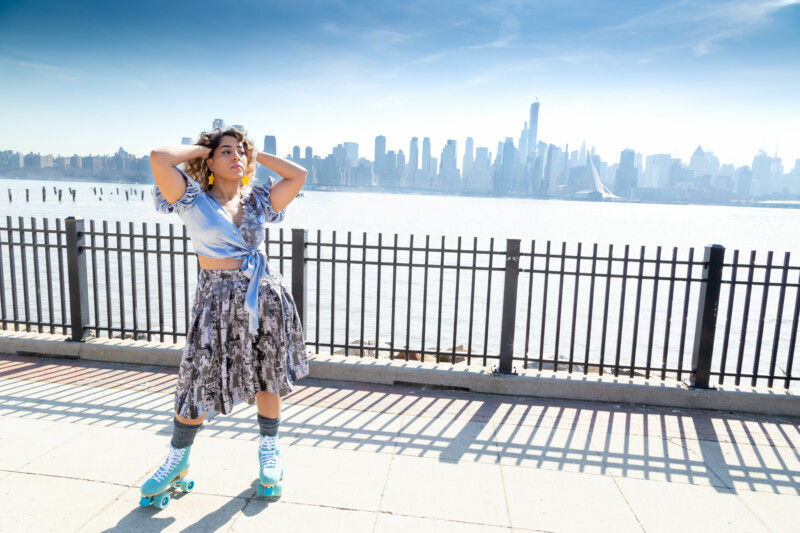 Note: We’ve paired this skirt with our free Serissa Top sewing pattern, now available here! First, choose which side you’ll have your zipper on. 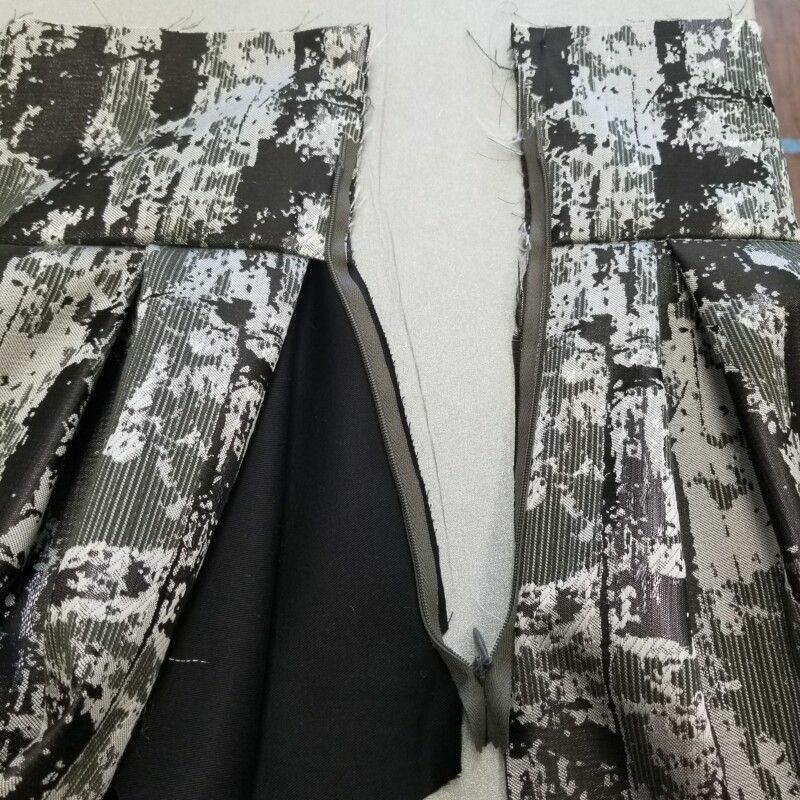 On the opposite side, attach one of your pocket panels like you see below, connecting the front and back of your skirt. Fold your pocket in half, matching up the fabric faces of the front and back of your skirt. Sew along the lower edge of your pocket and down the side of your skirt, closing both the pocket bottom and side seam of your skirt. 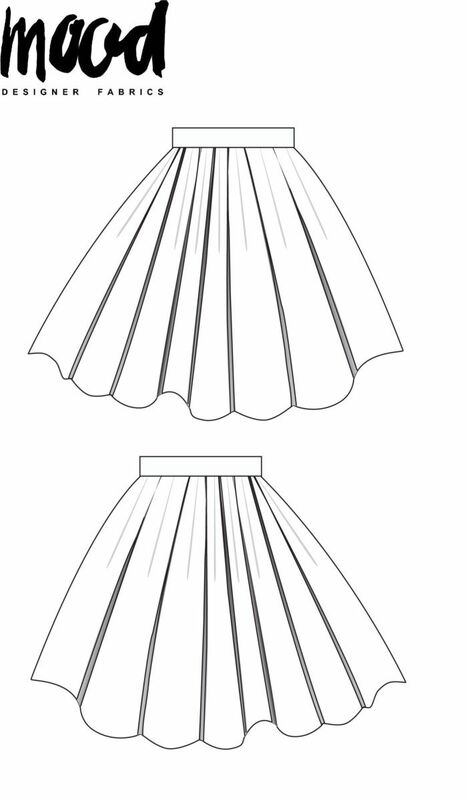 Following the guidelines on your pattern, pin your pleats together along the front and back of your skirt. Pin the finished pocket to the front panel of your skirt. 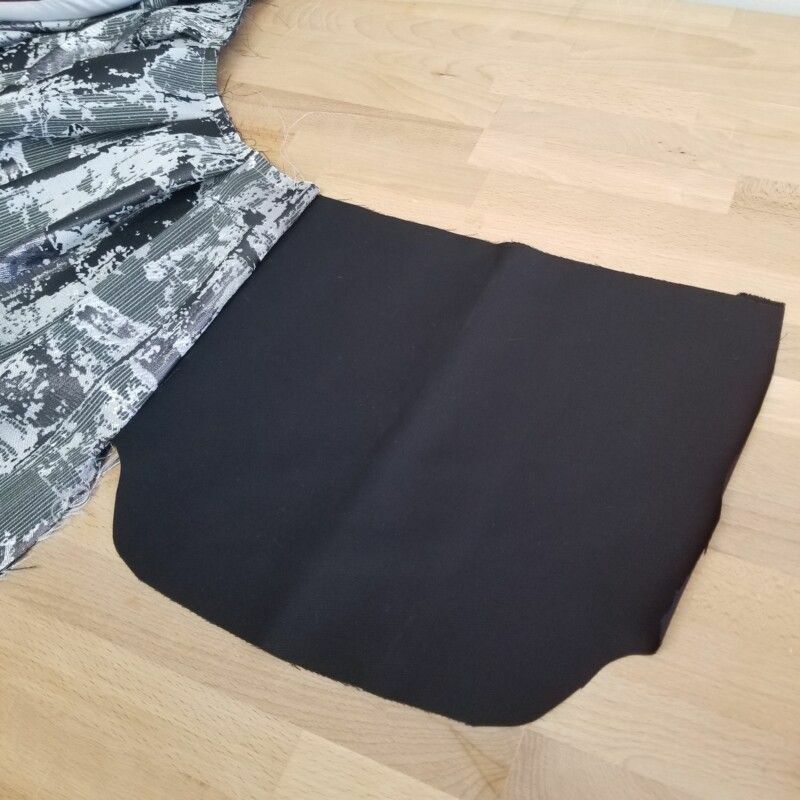 On the side of your skirt that will house your zipper, pin and sew the other pocket panel to the front of your skirt only. 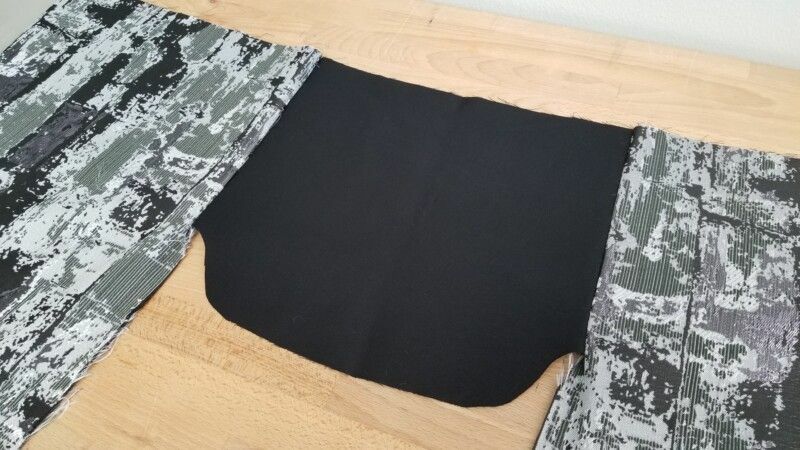 Interface and sew your two waistband pieces together at one side. Press the seam and pin it to the closed side seam of your skirt. 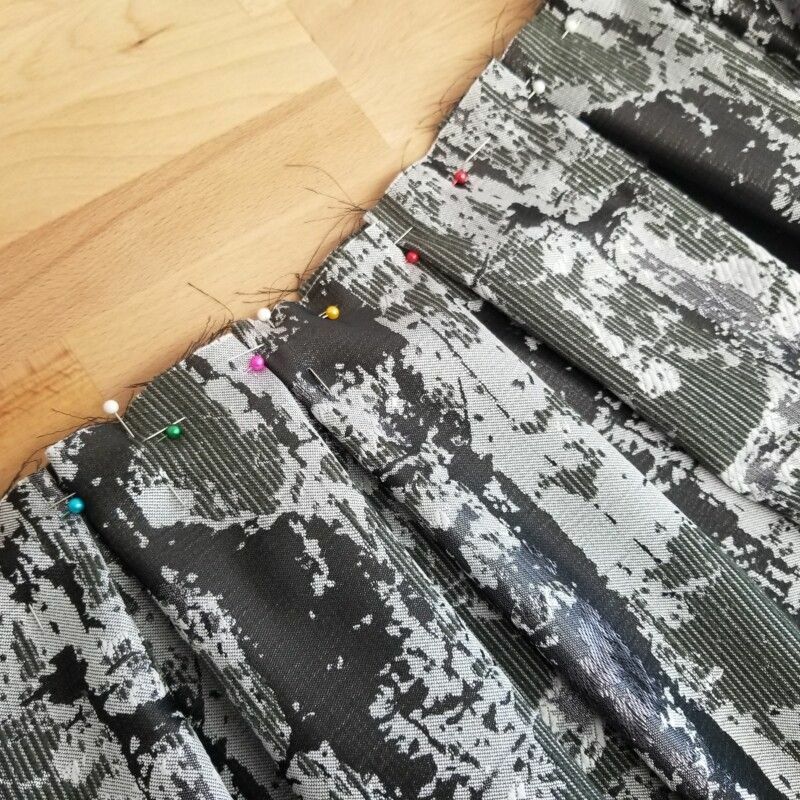 Pin and sew the remainder of the waistband along the top edge of your skirt, making sure to keep your pleats flat. Next, you’ll insert your zipper. It will attach to the back panel of your skirt regularly. 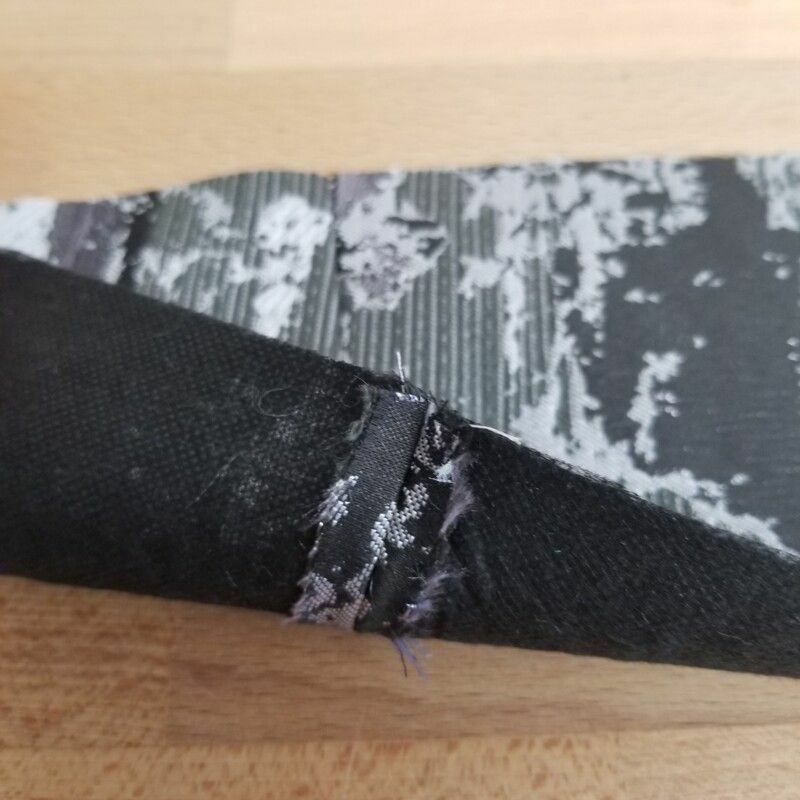 Be sure to start it only 2″ up into your waistband. 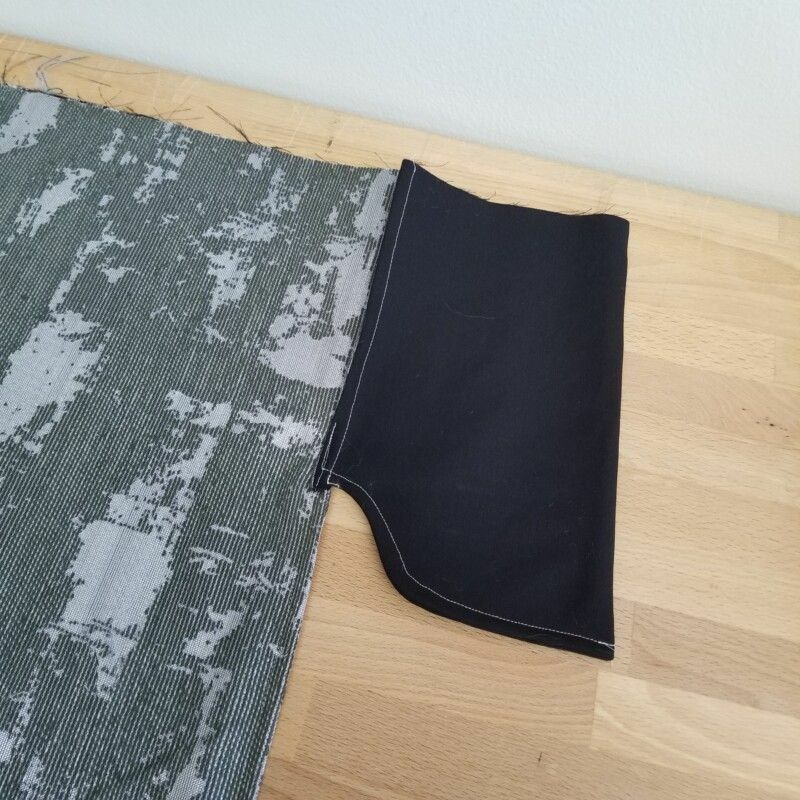 The front half of the zipper will attach to the waistband and the back of the pocket panel, like you see below. Once your zipper is attached, sew down the remainder of your skirt side. Lastly, fold the top of your waistband down toward the inside of your garment. 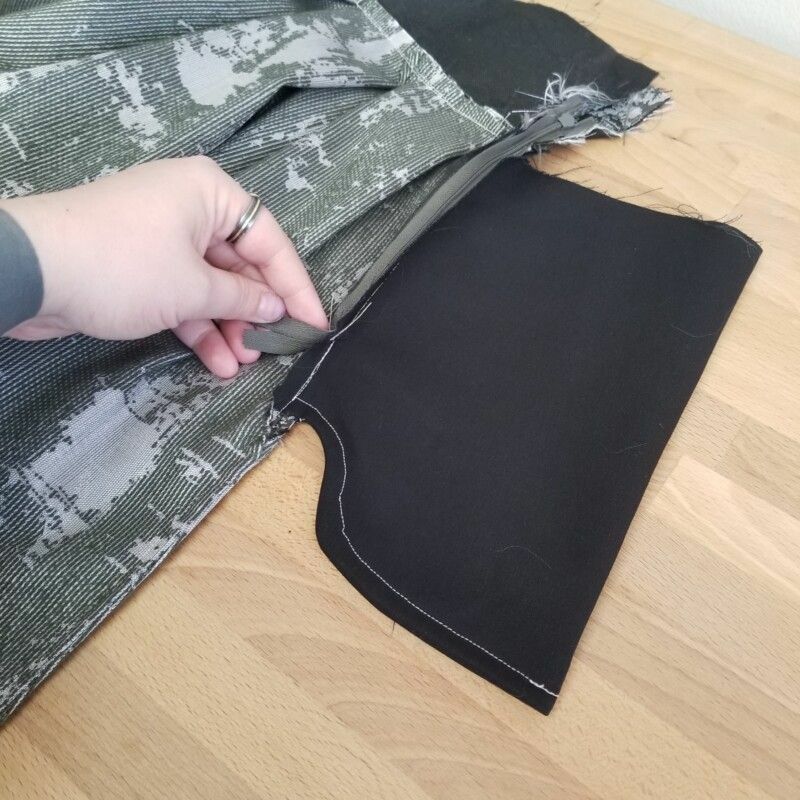 Fold the raw edges inward and slip-stitch the waistband closed along the top of the zipper and skirt. Hem the bottom to your desired length with a small, rolled hem. 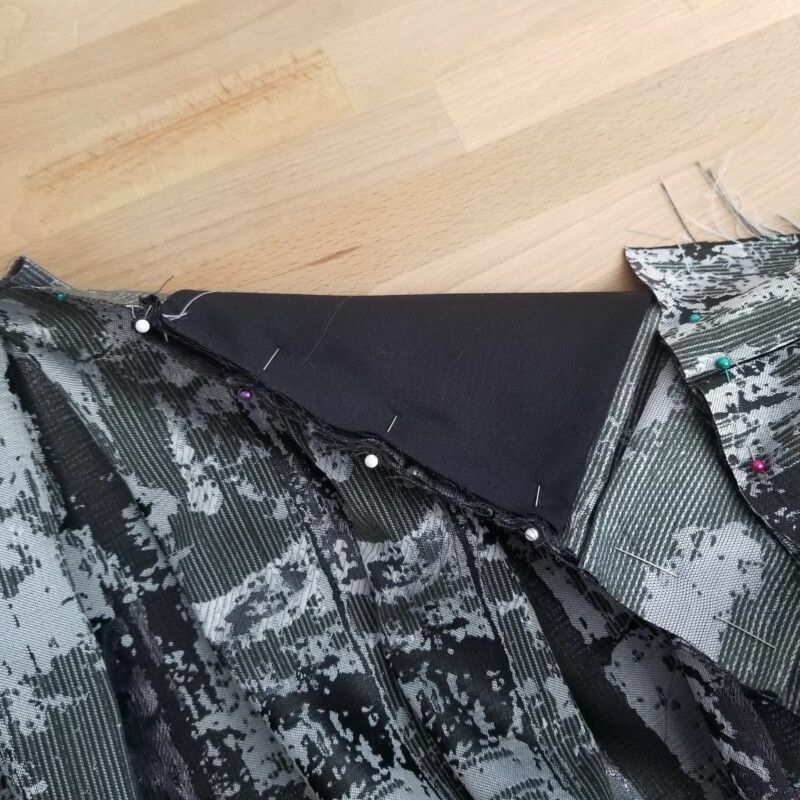 If you’re adding sim trim or applique to your skirt as well, simply pin it onto your skirt where you’d like it placed (I chose along the bottom of the waistband and down the sides of the pocket opening), and then hand-stitch it to secure. Will you be giving this skirt a try? Pair yours with our Serissa Top pattern, now available for free download! Beautiful skirt and a pattern I need in my library. 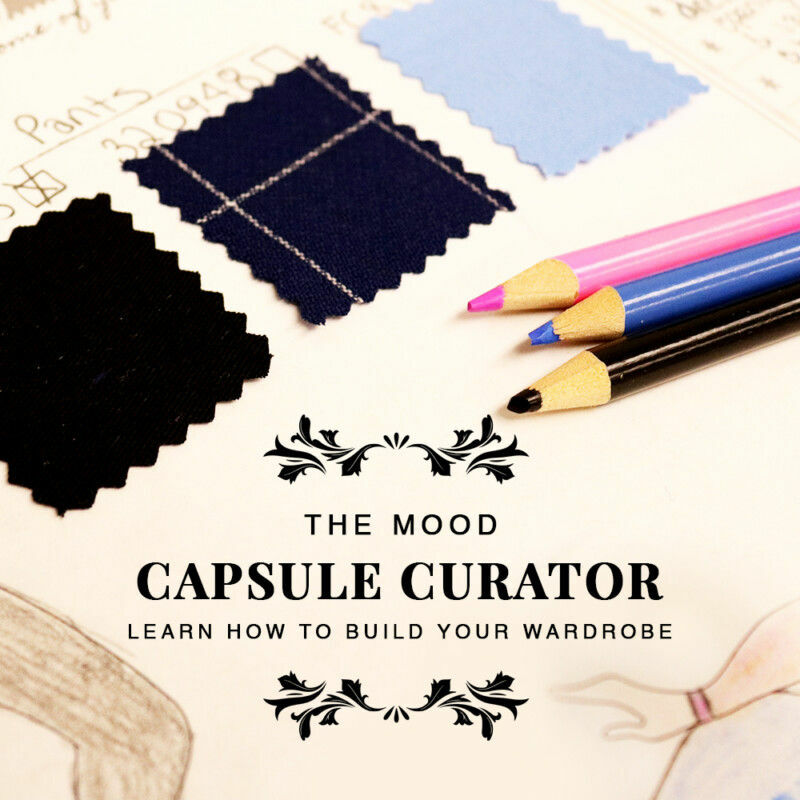 Thanks to all the talented folks who contribute to this blog and all the wonderful patterns. Everyday, I look forward to seeing what you all have been up to. The patterns have been a blessing. I mean that.